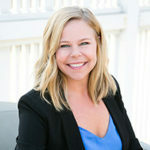 Annie Wilson Promoted to Senior Project Manager - ID Studios, Inc.
ID Studios is pleased to announce the promotion of Annie Wilson, NCIDQ, to Senior Project Manager. Annie has worked in the design industry for over 16 years and has been with ID Studios for over 5 years. Her commitment lies in ensuring her projects meet their schedule and budget all while respecting the integrity of the design, through constant interaction with the project team. Annie has a BS in Interior Design from the East Carolina University. Her artistic sense of design allows her to see the designer’s vision and keep it on track through the entire construction process. Her resume includes a wide range of projects, including luxury residential high rises, healthcare facilities, large, government offices, small, bespoke restaurants and interiors for dozens of corporate clients both large and small. Although she was born in Virginia, she headed off to North Carolina to earn her degree and then returned to Virginia to start her Interior Design career. Eventually she got restless and headed to San Diego in 2008 where she spends her free time hiking, lounging at the beach with her dogs and re-energizing for the next project. Annie’s engagement with the leadership of our design teams and clients through the design and construction process is commendable! Recent projects include NNSA, HUB International, Robbins Arroyo LLP and Brain Corp. We look forward to having her continued participation in our ID Studios family and at the helm of many future projects.